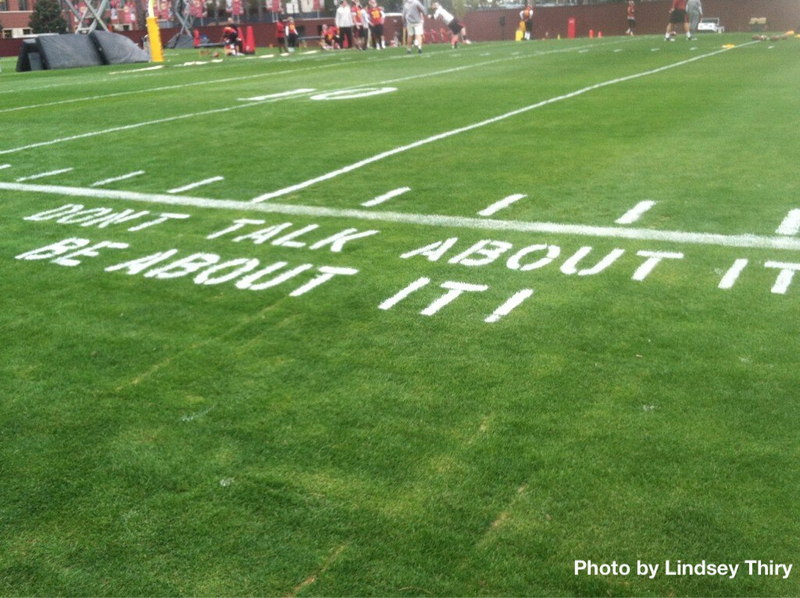 Last year, I saw this picture posted on the official blog for the USC Trojans football team. I know that the football season didn’t work out so well for my favorite college football team. However, I loved the mantra. Last night was the first one where I got to live this out. It was the first training run for the Disneyland Half Marathon. It was time to not talk about training and simply get out there and be about training. So, even though I felt my energy slipping towards the evening (when I get to run) and I ate a larger dinner than I should have (and still felt kind of full), I got out there and finished my first training run. I finished 3.10 miles (a 5K) in 38 minutes, 13 seconds. It wasn’t a great run, nor was it a horrible run. My average per mile stood at 12 minutes, 19 seconds per mile. I was proud of two things that happened during this run. I slowed my first mile down to 11 minutes, 5 seconds. Once I took my training runs outdoors, I have noticed that I start of fast, which can hurt me on the second mile. So, I’ve been trying to slow down the pace for the first mile to see if it helps. I finished all 3.10 miles. From the very beginning, I didn’t feel in the best place mentally for this training run. I felt like I ate too much at dinner and was seeing my energy start to go away. So, I didn’t start off in the best place mentally. It didn’t change much during the training run as I thought about cutting things short several times. In spite of a slow second mile, I regained some speed and finished strong. So, I was excited about finishing the distance I wanted to travel. However, I know that there is still much work to be done. I really want these shorter, weekday training runs to go faster. Since this is training run #1, I won’t beat myself up too much over it. All this training run emphasized to me was the importance of finding consistency. I need to be about consistency. This is Wednesday, and I want to keep up the theme of Music Wednesday by highlighting another song in my playlist. This is another Toby Mac song entitled, “Tonight.” Last year, this was a go-to song for me. With words like “We wanna rise, we wanna touch the other side. We wanna soar, we wanna reach right out for more (cause it starts Tonight),” how could it not inspire a person to keep going when they want to quit? 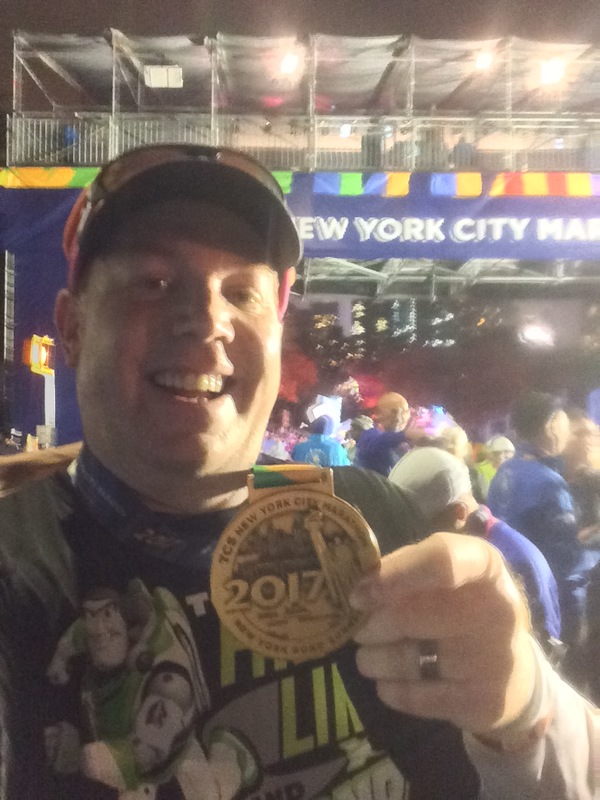 Last year, I had a goal of running an entire 5K without stopping. With this song on my playlist, I made it half way to that goal during the Pasadena 5K. Although, I did have a walk break in there after the half way point, I did finish the first 2 miles of that 5K in under 20 minutes (the fastest 2 miles I’ve ever run)! I still love, love, love this song while running. I hope you will as well!